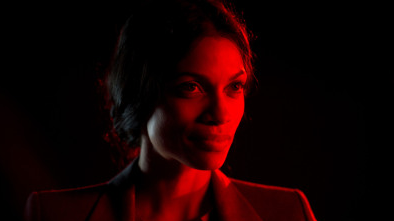 Rosario Dawson shines in Danny Boyle’s new thriller Trance. She plays Elizabeth Lamb, the mysterious hypnotherapist you will want to help you access any hidden memory you have willed to forget. Charged with hypnotizing Simon (James McAvoy) an art thief who cannot remember where he placed his stolen goods, Elizabeth Lamb weaves her magic on the con artists who hire her to tap Simon’s brain. The audience does not escape her charms as we are exposed to the mental and emotional calisthenics that would fell a marine. Lamb carefully guards her secret to produce her own desired results. In the meantime, with expert proficiency, Lamb entrances us to believe whatever she wants us to believe. 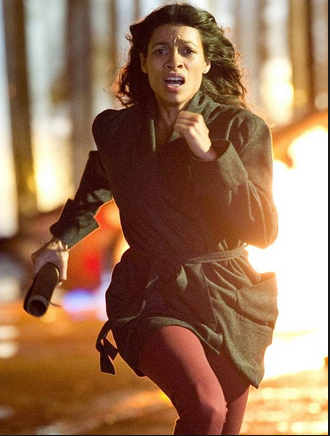 Is she on the take? Did she plan the entire heist of Goya’s painting, “Witches in the Air”? Whatever is the truth, Dawson’s portrayal invites us to ‘bear with her’ on the non-stop twists and double-backs that leave us dizzy with anticipation for the next turn. The ending is a shocker that places front and center what a woman will do to gain her freedom.